The NIRS XDS MasterLab Analyzer enables the rapid, nondestructive analyses of solid-state dosage forms such as tablets, capsules, film-coated tablets, gel tablets and gel capsules for manufacturers in the pharmaceuticals industry. 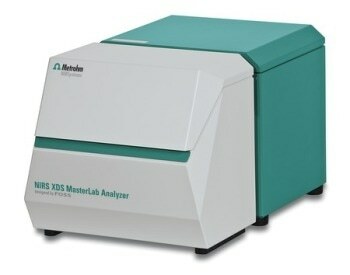 Solids in vials can also be analyzed with the NIRS XDS MasterLab Analyzer. The analysis takes place in reflection or transmission mode. The sample input proceeds via a sample slide that can be moved in x and y direction and that is designed for trays with several tablets and/or vials. Analyses of individual samples are optimized with an iris. An optionally available coarse granular sample cell for coarse granular substances extends analysis to include practically all solid forms ranging from fine powders to coarse granular materials, e.g., pellets and flakes.